Click here to receive a FREE digital copy of this month’s issue of All You, plus receive a coupon for your next issue! Posted on May 21, 2012, in Freebies, Magazine Deals. Bookmark the permalink. 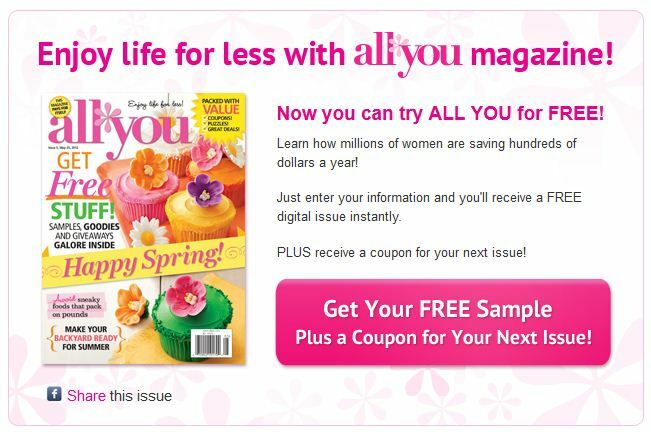 Comments Off on FREE Digital Issue of All You Magazine.